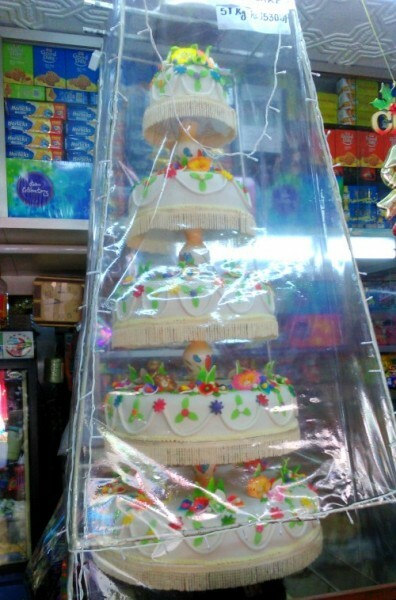 Shri Krishna Bakery in Shahpur has made a 5 feet tall cake weighing 51 kgs for Christmas. It took the Vasant and Vishwanath Kittur 2 days to make this five layer cake. The cake would be on display at the bakery Kakeru Chowk, Shahpur. The said cake would be then given away to the kids on 31st December.